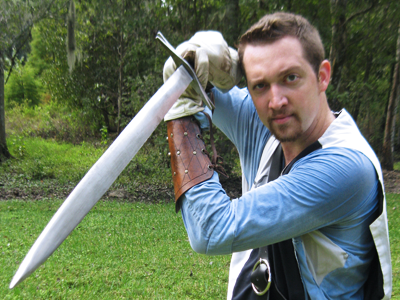 ​﻿﻿LANCE is a stage combat troupe, and as such we need weapons with which to fight! Sword for Hire is a donation program that allows our supporters to purchase a weapon for the LANCE Armory. Donors are able to name their weapon and track its progress over the course of its use by LANCE. Click the 'Hire a Weapon' button for more details! Now you can support LANCE Orlando when you buy products on Amazon! Just follow these simple instructions, and you'll be giving while you're shopping in no time! Go to AmazonSmile and sign in using your usual Amazon username and password. Choose LANCE from the search results and shop as usual! You can even get a browser extension to make it easier to shop through AmazonSmile in the future! For every purchase you make, the AmazonSmile Foundation will donate 0.5% of the purchase price to LANCE Orlando. Giving couldn't be easier! ​better train and provide weapons and costumes for our performances. Please check back for information regarding future fundraising events!